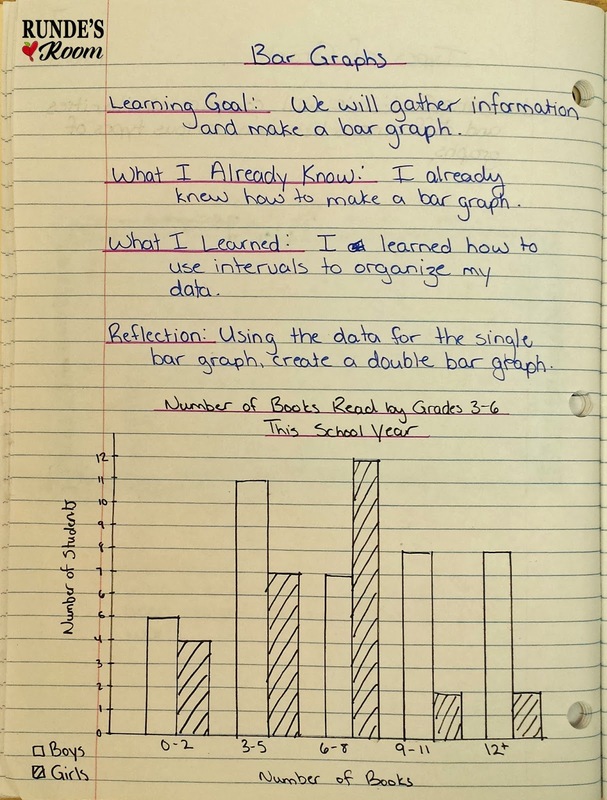 For this week's Math Journal Sundays, I have one of my favorite math journal entries - it has both the deep learning with the students analyzing the information and applying it in a new situation and the "wow" factor they love. 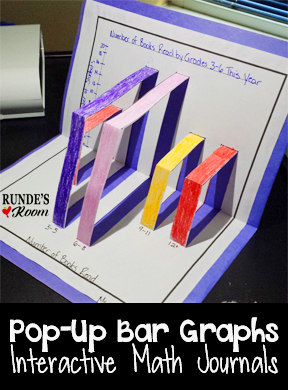 This Pop-Up Bar Graph is a resource that I have in my store, both on its own, and in my Math Journal 2 resource. 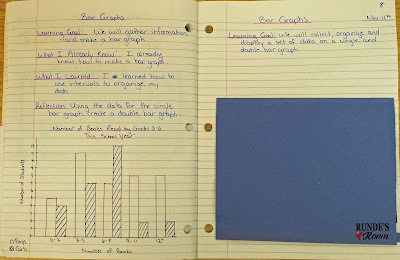 This was a 2-day lesson - we completed the graphing activity on the first day and then did the journal activity on the 2nd day. 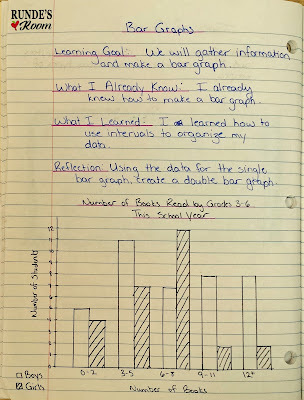 On the second day, we turned it into our math journal entry. We did a traditional left-side of the page thinking, with the reflection being a kind of application, too. 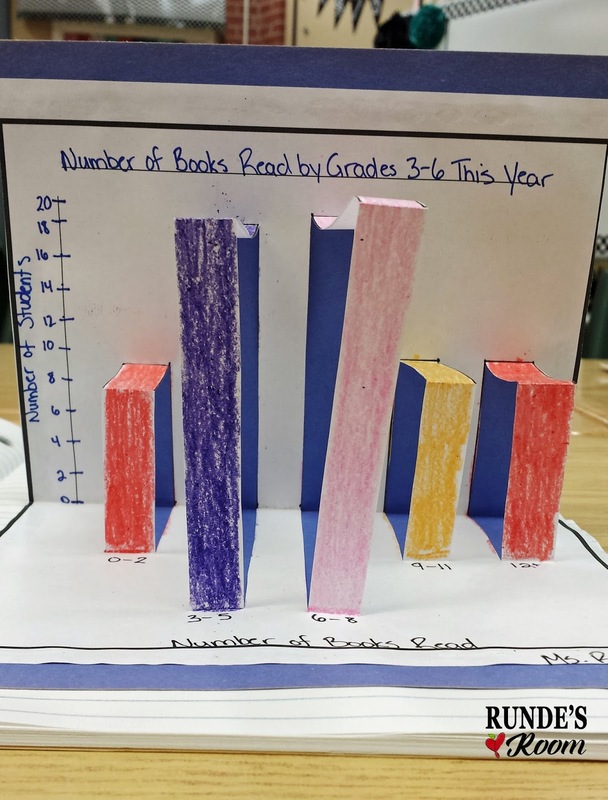 We started with the single bar graph, but to meet the double-bar graph expectation for our curriculum, I had the students take the data we collected yesterday (remember, we had separated the answers from girls and boys) and turn it into a double-bar graph. As we had been studying single and double bar graphs through the week, they were able to do this independently. 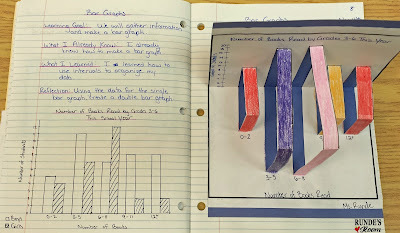 And as they finished, I had them bring their journals to me so I could do a quick check for an informal assessment. 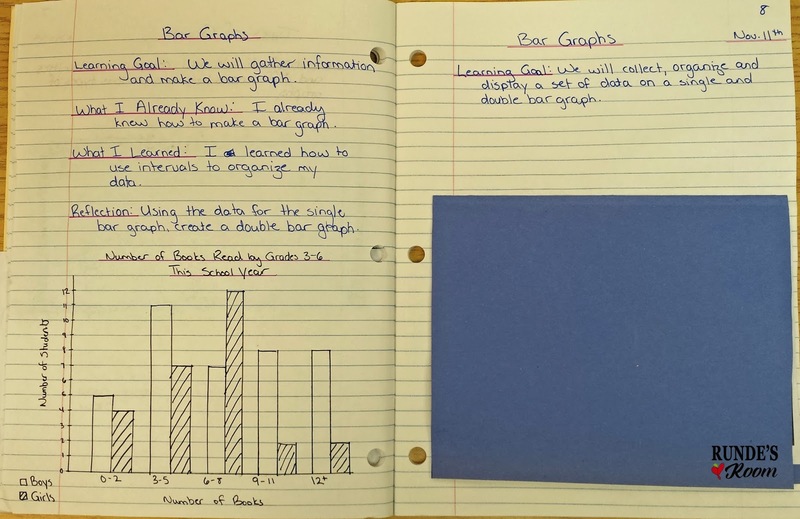 The few students who had made the graph incorrectly were quickly pulled for a little small group reinforcement, where we remade the double bar graphs and added it to the journals. I absolutely love these graphs! 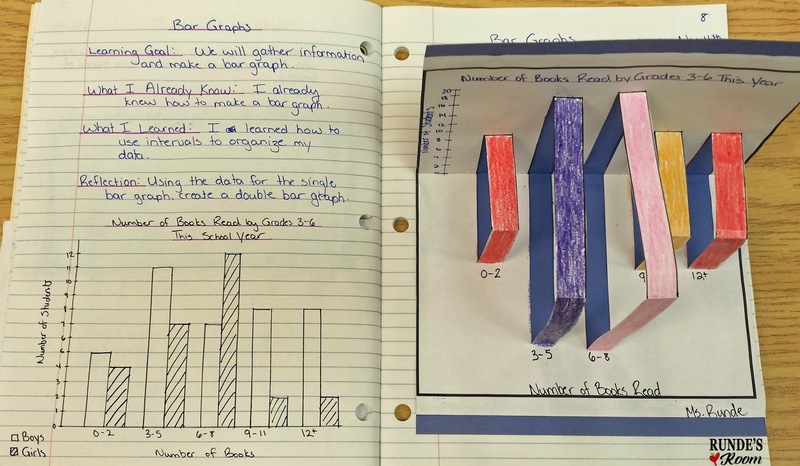 Thank you so much for sharing this entry, I am thrilled to read your Math Journal Sundays again this year!!! 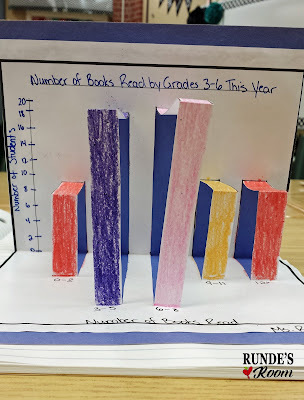 Pop up bar graphs?! What an amazing idea! What an awesome idea! I like how you're organizing your math notebooks too (left and right sides). I've had my students flip the comp books upside down and we glue in anchor charts. I like your idea better for math. Thank you! I love the pop up bar graphs!! !